So a little about me and my family. My name is Josh, I am 27 and am raising two amazing little boys Aaron (7) and Nathaniel (4). We currently co-habitate with my sister, nephew and just recently her fiance and his daughter.Ugh> . But enough about us, meet my other family. 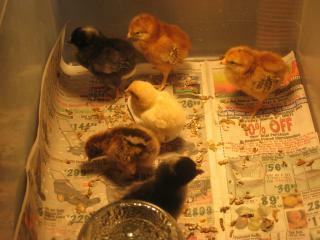 Here is our first bunch of Fuzzy Butts. 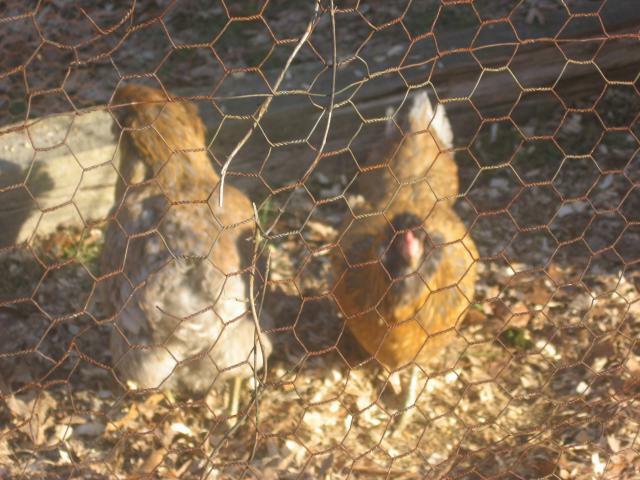 2 RIR, 2 Barred Rocks, 1 EE Bantam, and 1 Misc. 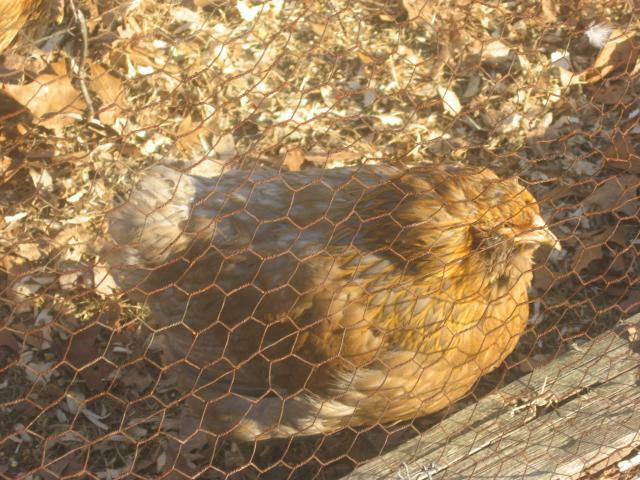 Yellow Bantam. 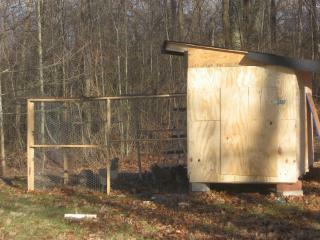 Here are some pics of our coop. 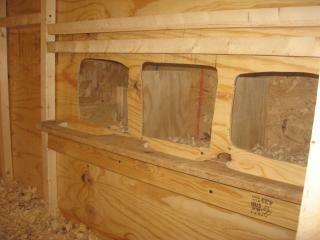 ( My other sister has many more from the beginning of construction, since it was started in her garage.) Will post those when I get them. 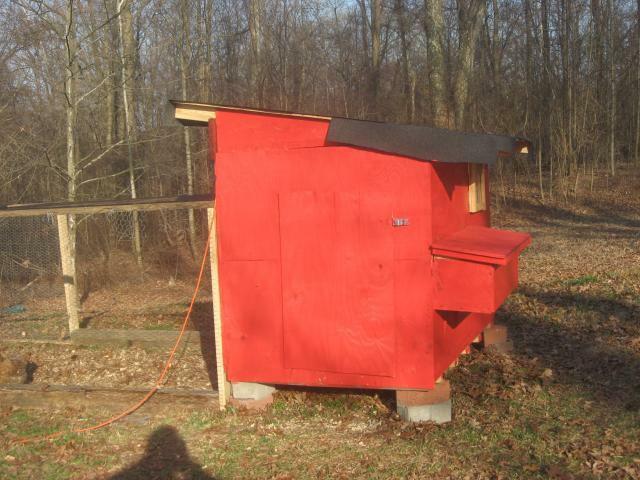 My sisters girlfriend, her grounded 15yr old son, and myself started this coop on a Thurs. afternoon in her garage by Sat. night we had everything done on the original coop but the roof. So we loaded the whole thing up in the back of a pickup truck and drove it about 15 miles to my house. 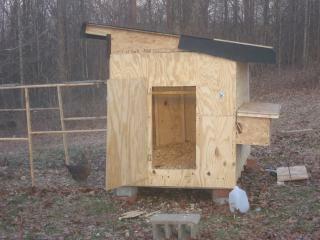 We dropped the coop at my house at 11pm on Sat. Sunday morning we started on the roof and by 3 pm(to the sounds of the Tornado sirens going off) we had the roof done. It's amazing what a motivator Natural disasters can be. 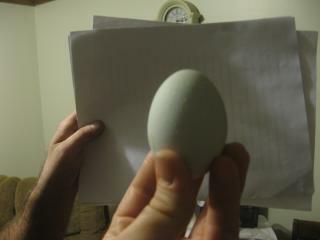 Here is our first egg. I was amazed to get one the first full day the girls were there. 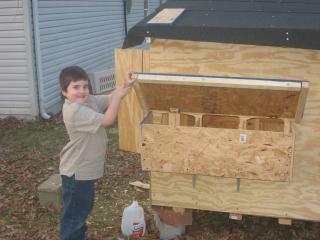 My son Aaron and I adding on the nest boxes. He and I built these in an afternoon. 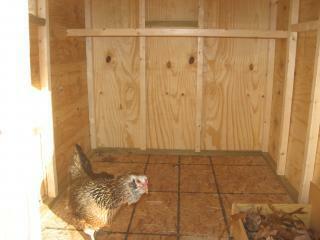 It aint straight and I don't think there is a square corner but the girls love it. 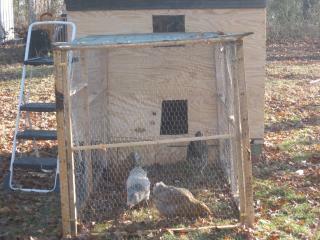 I took a piece of scrap wood and the cut out a perch for the girls to stand on to get into the box. 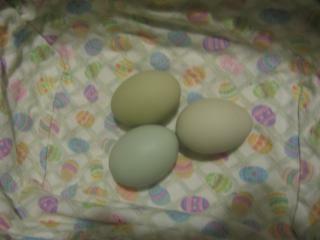 Our first day with more then one egg. Yay. And they all are different colors, so different girls. I got a great deal on some paint. My bosses husband manages a local paint store and had a can of red mistint for $3. I was elated. I added another 10x3 run to the existing run. Making the run roughly 17x6ish. 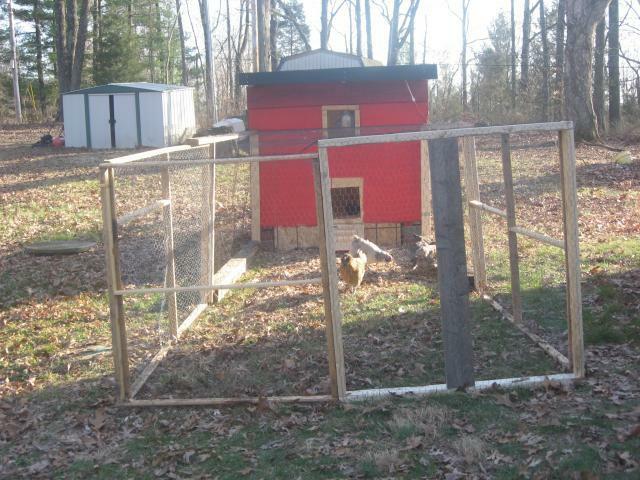 I used 2 railroad ties we had lying around, a 12ft 2x6 split long ways(that was fun with just me and my 7 yr old helper) , 4 2x4's, and about 25 ft of used gnarled up chicken wire. ( I think I may need a Tetinus shot. ) 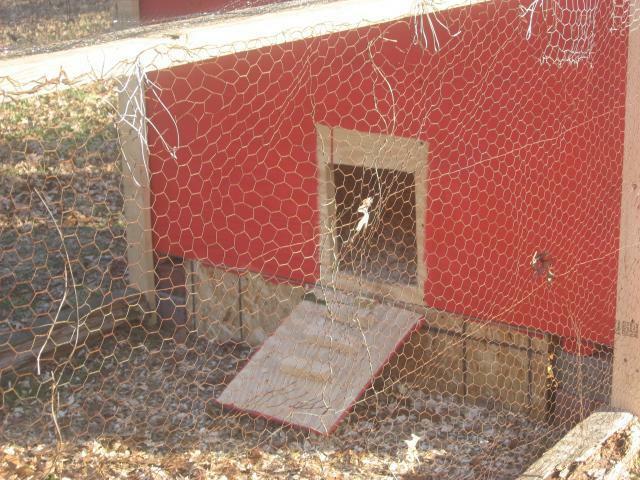 Cut a few windows, covered them in 1" wire mesh. some scrap wood, and some left over plexi from sisters GF. Added a few hinges, locks, and Voila. And yes the run is slanting. We live in the hills of Brown County so we don't have a flat spot on our whole 4 acres. I still have alot of work to do to it but all and all I'm very happy with the way it turned out. 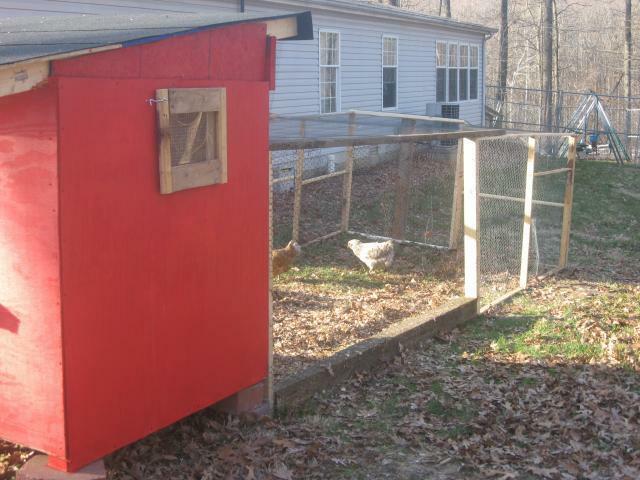 I have plans to make the top side slats hinged to allow for more ventilation in the summer, run some electricity for lights and water deicer, and extend out 3ftx4ft for a top hinged brooder/breeding pen/infirmary, with a wire mesh divider between the two so the girls can get used to the young ones before integrating them into the flock. 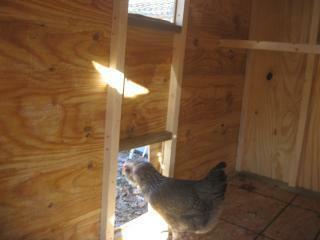 Here are few shots of the girls enjoying their new coop and run. 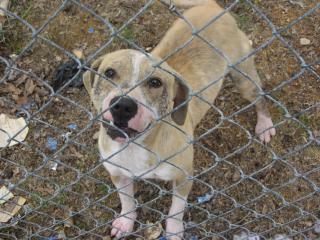 And the newest addition to our family, Ms Shiloh( pic below). This will be forever known as her " Before' picture. 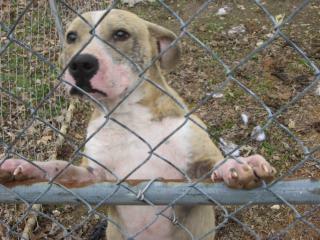 Please watch as this sweet lil pup full'o love gets her " Happily Ever After". She has a lot of work ahead of her but I think she'll do just fine. 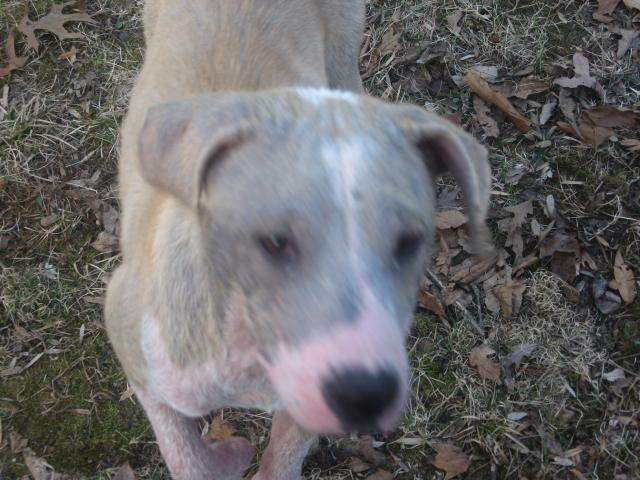 Update*04/13/09* Shiloh is now on week three of her mange treatment. She has put on probably 10lbs and is getting her hair back. 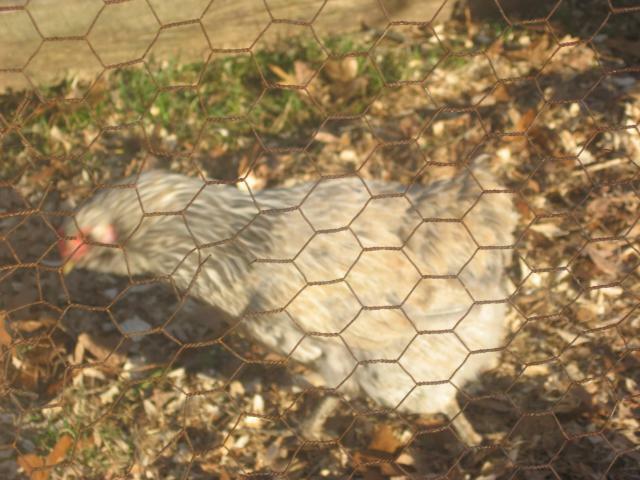 She also has had a growth spurt and is looking about the size she should for her breed. She is a little escape artist and has some of the strongest teeth I think i've ever seen( It's a challenge to contain her everyday). I will be posting new pics in the next few days . Just gotta wait for the rain to let up. 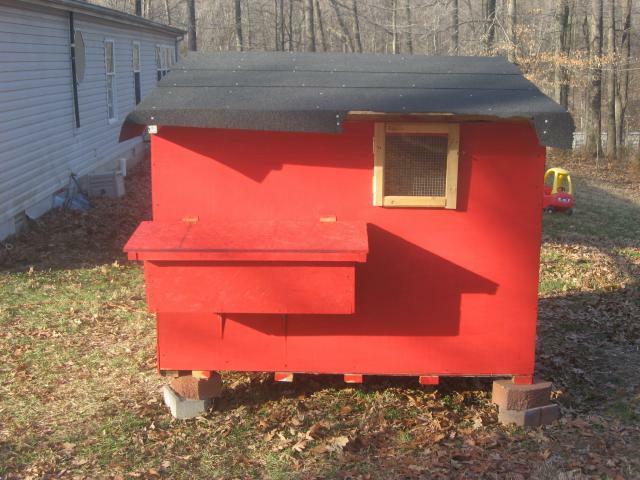 "Would love more details of coop build + pics"
For a rustic type coop and run this is quite good looking and functional. Love it! Would love to see pics of the described builds.